Our health depends largely on the immune system. And if the components of the immune system can not cope with their responsibilities, then develop the disease. Then the body's defenses begin to function at maximum capacity, carrying a "watch" with little or no rest. Adjust the "feed" the immune system, to provide it with new forces capable of the domestic drug called "Galavit". Galavit referred to as immunomodulators group. But it is not only "podhlёstyvaet" immunity, builds his work, but also has anti-inflammatory effect. 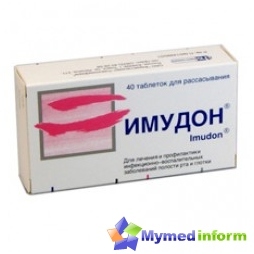 The drug is highly effective, safe, compatible with other components of the treatment, it is not forbidden to use even without data immunogram. Another positive feature of Galavita: it acts selectively. And affects only those immune cells chain whose activity is reduced or excessive. The drug reduces the duration, severity and the severity of the inflammatory process. Reduced temperature, leaving pain, restores strength, appetite returns, improves mood, normal sleep. Gradually the person becomes active again engaged in the same things that have been marginalized because of illness, poor health. It has been observed that even the wounds heal faster, the drug shows antioxidant activity. If Galavit employs people with chronic diseases, the period of remission longer. It affects the production of compounds called cytokines, whose task is to participate in the origin and "repayment" of the inflammatory process. Powder of 50 and 100 mg vials used to prepare the solution, which is then injected intramuscularly. The present package of 5 vials of a volume of 5 or 10 ml. Rectal suppositories and 100 mg of 50 inpackaging them ten pieces. Their torpedo shape and color predominantly white. For formation of such additional components are used as fatty acid glycerides. Sublingual (sublingual) 25 mg tablets inpacking them 10 or 20. They are white in color (or slightly yellowish color), lenticular, have no cuts, there is the smell of menthol. Are used in their manufacture such substances: lactose, sorbitol, menthol, starch, calcium stearate, talc. Questions about what kind of dosage formassign patient, in what dosage, for some scheme and duration of the course, solves the attending physician. 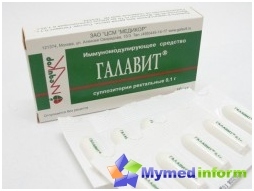 MirSovetov describe only the most common ways to use Galavita. If assigned injections, they are administered into the muscle once a day interval between injections may be a day, two or three of them - it depends on the diagnosis and the severity of the disease. 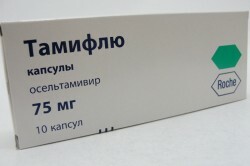 In the course can take from 15 to 25 vials (vials). Before injection should be added to the powder in the vial (vial) 2 ml of solvent (water for injection or sodium chloride (0.9%)). Now we shall understand the scheme of application of suppositories Galavit. For the treatment or prevention of SARS, sinusitis, Bronchitis, tonsillitis and other diseasesUpper respiratory tract is recommended to be administered daily for one suppository rectally. Duration of candles - from 5 to 10 days. If concerned about other diseases, it is possible that a day will need to enter more than one suppository, but two. And then the treatment will be from 15 to 25 days. To prevent infection of SARS or influenza, it is necessary for 5-10 days, twice a day to dissolve a tablet. If there was an intestinal infection accompanied bydiarrhea, you should immediately sucked two pills, and then put under the tongue three more times in a single tablet. Then another three or four times a day for 3-5 days (until symptoms recede bowel disorder) have to dissolve under the tongue on the tablet. In other cases, the drug most commonly assignedone tablet four times a day. Another possible scheme: dissolve two tablets twice a day. Galavitom duration of treatment may be up to 21 days. Another positive quality Galavita if he is appointed with antibiotics, their course dose can be reduced. Children up to six years (or one of the drugsforms). The tablets can be administered to children starting from 12 years. This warning is due to the fact that it is not carried out a sufficient number of clinical trials, which could be judged on the safety and efficiency of use Galavita in children (ages in particular). During pregnancy and breast-feeding a baby - during these periods of life of women studies have not been conducted. Only in rare cases, gynecologists prescribe this remedy for pregnant women. If you are hypersensitive thoseingredients that are part of the Galavita. If suddenly after using Galavita labored breathing, or a rash, the drug immediately overturned. In this situation, it is necessary to immediately turn to the health care provider. During the passage of a plurality of clinical trials Galavit cause side effects in rare cases. Most of them were allergic reactions. If you hear about Galavit from friends or yourself find information about it, then before buying medicine at the pharmacy, ask for advice and clarifications to the attending physician.